Bresson moves from Paris to Michigan. 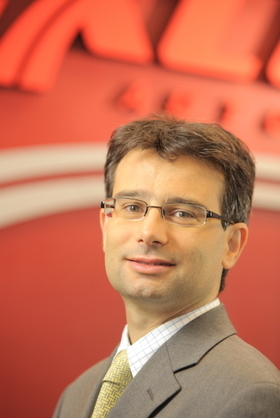 Nexteer Automotive has promoted its top executive in Europe to chief operating officer of the former General Motors-owned steering and driveline specialist. Laurent Bresson, 40, starts his new job immediately. The Frenchman will relocate from Nexteer's European base in Paris to its global headquarters in Saginaw, Michigan, USA. Bresson, previously senior vice president and COO of Nexteer's international division, will manage the day-to-day activities at Nexteer's divisional and product groups. Bresson will continue to be responsible for the company's global sales and will keep some of his European responsibilities, the company said, adding that there will not be a direct replacement for the executive in Europe at this time. "Laurent not only has a proven success record in managing our major customer relationships around the world, but he has also demonstrated his operational capabilities in the European, Asia-Pacific and South American regions," Nexteer CEO Robert Remenar said in a statement. "His tireless dedication to the business is a tremendous asset." Nexteer is a former Delphi Corp. unit that General Motors Co. bought in 2009. GM sold the supplier to China's Pacific Century Motors in 2010. Nexteer reported global sales of $2.2 billion last year. Its products include electric power steering, hydraulic power steering, steering columns and halfshafts. Nexteer's main customers are GM, Fiat-Chrysler, Ford, Toyota and PSA/Peugeot-Citroen.